Why Stucco Waterproofing is Important | Adriatic Restoration Corp. While stucco may be a very popular choice for building exteriors, it can require a little extra care to prevent major issues from developing. Stucco waterproofing is considered a step that should be taken as soon as possible to ensure the stucco can last as long as possible without having to be replaced. Because stucco is a porous material, it’s easy for it to absorb water and moisture that can damage the stucco and the building beneath it. This damage occurs by the growth of mold, mildew, and even moss, or the added moisture can cause the stucco to crack in freezing temperatures. When the stucco is sealed when it is still new, the sealant can penetrate into the material and stop moisture from becoming an issue. The coating can last for several years and can keep the stucco looking good even through exposure to severe weather. It’s also important to know that the sealant may need to be reapplied after a length of time to ensure the integrity of the stucco isn’t compromised. 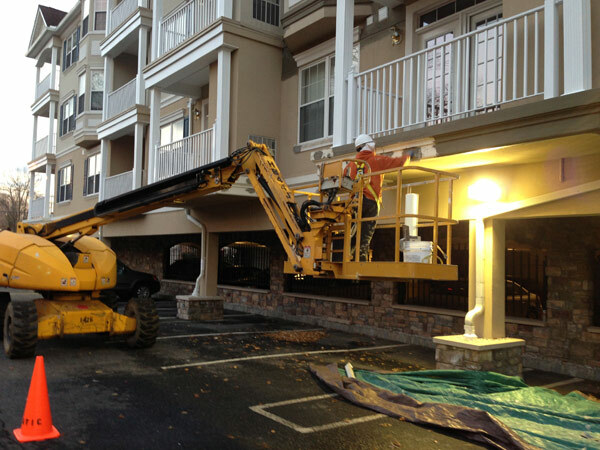 Stucco waterproofing may be an important step when owning a building that has stucco on the exterior. If stucco is properly cared for and maintained, it can provide an attractive building for years to come.